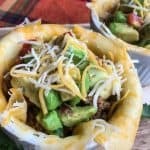 These Keto Taco Bowls are a low carb twist on a Mexican favorite! They are super easy to make and are absolutely delicious. 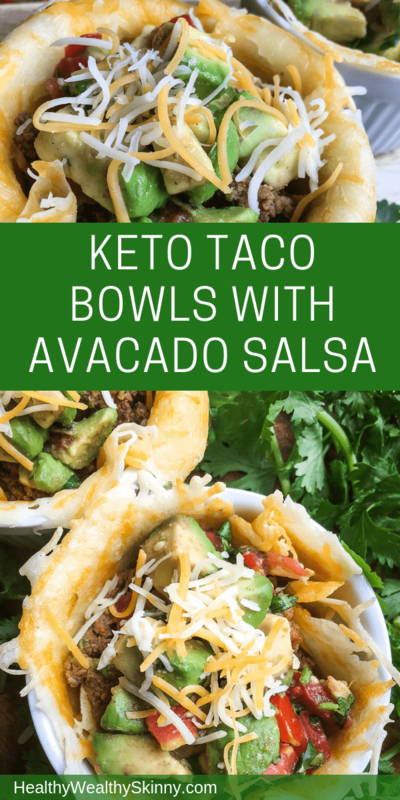 These Keto Taco Bowls with Avocado Salsa are a favorite in my household. 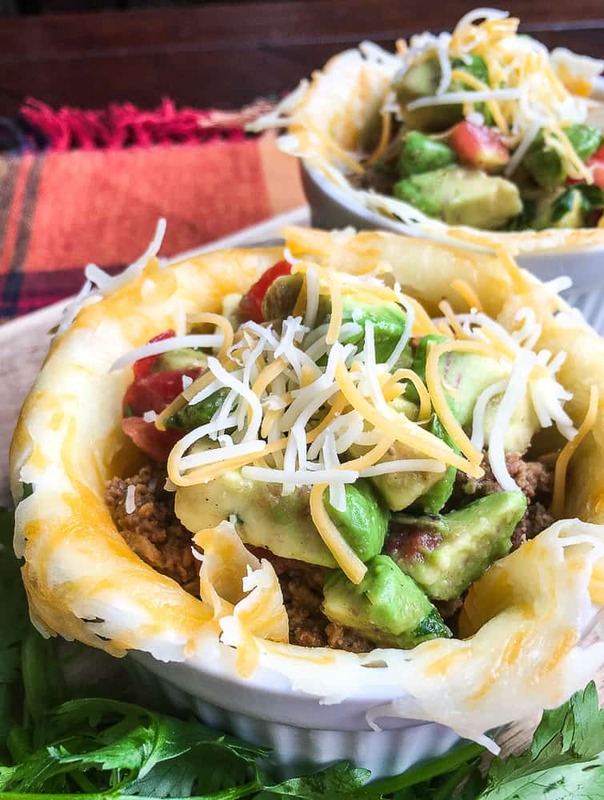 My kids really enjoy Mexican dishes and these pop-able bowls are at the top of their list. The avocado salsa can be replaced with store-bought or homemade pico de gallo. If your family is anything like mine, everyone will like a slightly different topping. Tip: You will need six 3” ramekins or a muffin tin to make this recipe. Here is a breakdown on the nutrition. 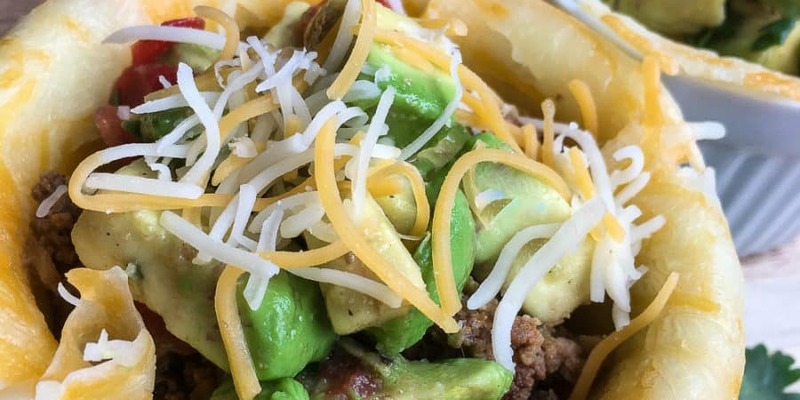 Divide 1½ cups of the shredded cheese into 6 piles (approximately 1/4 cup each) on the prepared baking sheet and spread each pile into a thin circular layer. Place baking sheets in the preheated oven until the cheese is melted and slightly browned around the edges, around 5-6 minutes. In the meantime, add the ground beef to a large skillet over medium heat and cook until the beef is browned and cooked through, approximately 6-8 minutes. Carefully drain excess grease from skillet and return to the cooktop. 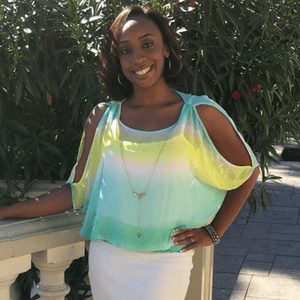 Leave a comment and share your results!